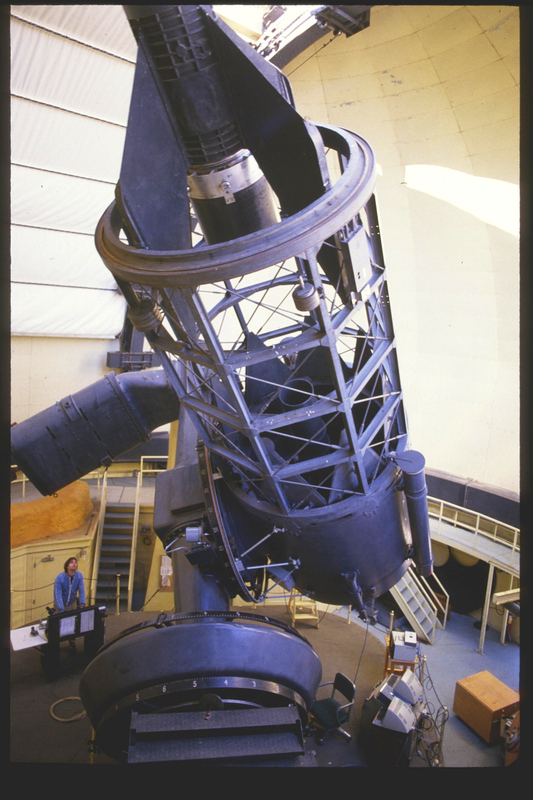 Note refractor guidescope. There is another on the opposite side of the tube. Mirror shutter is open. I think we were going to do some dome flats.